The human circulatory system is a complex, closed network of blood vessels that deliver blood, oxygen and nutrients from the heart to the body -- and deoxygenated blood from the body back to the heart and lungs. Blood travels through the body in two loops: pulmonary circulation which supplies blood to the lungs, and systemic circulation, supplying blood to all other organ systems. 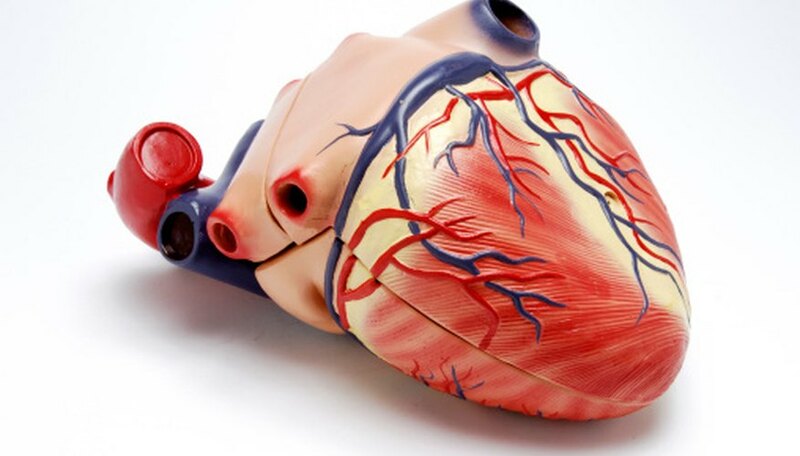 Blood circulation relies on the proper functioning of the heart, valves and capillaries. The heart is the central mechanism of the circulatory system, located in between the lungs in the chest cavity. It is a hollow, fist-sized muscle divided into left and right halves by a thick muscular wall called the septum. These halves are further divided into chambers, with atria, or holding chambers on top and ventricles, or pumping chambers on the bottom. The muscles of the heart contract and relax in coordination with each other, filling, pumping and emptying. When oxygen-poor blood first enters the heart through the superior and inferior vena cava -- two large veins that return blood from the organs and tissues of the body -- it is held in the right atrium. It then moves down into the right ventricle where it is pumped to the lungs through the pulmonary arteries and then returns oxygenated to the heart through the pulmonary veins. The oxygen-rich blood enters the heart through the left atrium, then moves down into the left ventricle to be pumped to the body through the aorta. The valves of the heart regulate the direction of blood flow within the heart. Valves are one-way openings, allowing blood to flow from the atria to the ventricles, closing so that blood cannot flow back into the atria. The valve located between the left atrium and left ventricle is called the mitral valve, and the valve located between the right atrium and right ventricle is called the tricuspid valve. These two valves are referred to as the atrioventricular valves. The two major arteries, the pulmonary artery and the aorta, also have valves that prevent blood from flowing back into the heart. These are called the pulmonary valve and aortic valve, respectively, and are known as the semilunar valves. 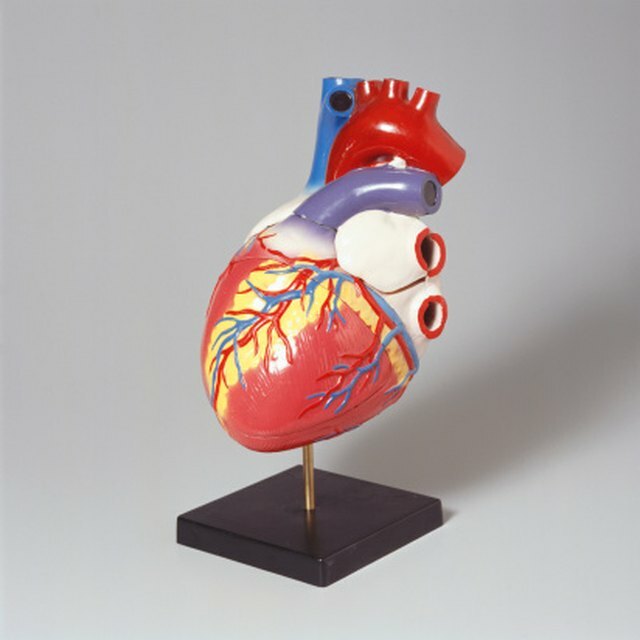 Near the heart, blood vessels are thick and muscular. In fact, the major vessels such as the aorta and pulmonary artery and vein are what keep the heart in its position in the chest. However, as blood vessels travel throughout the body, they branch out and become smaller and smaller, eventually becoming capillaries which run along body tissues delivering oxygen and nutrients and picking up waste and carbon dioxide. Capillary walls are only one cell thick, which facilitates the transport of chemicals by allowing blood cells to pass through the walls to tissues and organs. Blood plasma, which consists of about 90 percent water, travels quickly through these tiny vessels because of a basic chemical attribute of water called capillarity. Water molecules consist of oxygen atoms which are negatively charged, and hydrogen atoms which are positively charged. The oxygen side of one water molecule tends to stick to the hydrogen side of another water molecule. Therefore, water molecules are strongly attracted to each other -- a property called cohesion -- and can string along through small crevices and tubes, even against the force of gravity. Capillarity makes it possible for blood to move through capillaries with ease. Imani Angulo has been writing professionally since 2008. Her specialties include music, jazz and the performance arts. Angulo recently worked as a grant writer for the non-profit Corporate Angel Network, where she also solicited funds on behalf of cancer and leukemia patients for corporate-sponsored transport. Angulo holds a Bachelor of Music in jazz studies from New York University. Angulo, Imani. "What Three Things Help Push Blood Through Veins?" Sciencing, https://sciencing.com/three-push-blood-through-veins-7431501.html. 24 April 2017.